This is 12 Gauge Remington Game Load 2 3/4" 1 oz.. #6 Shot Ammo. 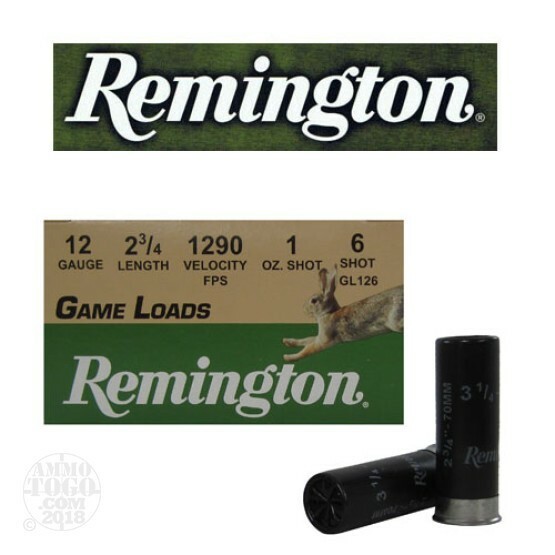 Designed for a wide variety of field gaming, these budget-stretching loads include the same quality components as other Remington shotshells. This is an economical hunting load. Packed 25rds. per box 250rds per case.